You expect employees to have high levels of emotional intelligence when interacting with customers. Now, thanks to advances in Deep Learning, you’ll soon expect your software to do the same. Research has shown that over 90% of our communication can be non-verbal, but technology has struggled to keep up, and traditional code is generally bad at understanding our intonations and intentions. 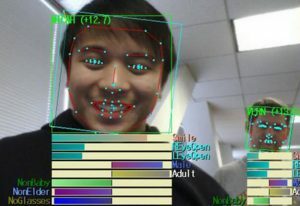 But emotion recognition – also called Affective Computing – is becoming accessible to more types of developers. This post will walk through the ins-and-outs of determining emotion from data, and a few ways you can get some emotion recognition and running yourself. Understanding contextual emotion has widespread consequences for society and business. In the public sphere, governmental organizations could make good use of the ability to detect emotions like guilt, fear, and uncertainty. It’s not hard to imagine the TSA auto-scanning airline passengers for signs of terrorism, and in the process making the world a safer place. Companies have also been taking advantage of emotion recognition to drive business outcomes. For the upcoming release of Toy Story 5, Disney plans to use facial recognition to judge the emotional responses of the audience. Apple even released a new feature on the iPhone X called Animoji, where you can get a computer simulated emoji to mimic your facial expressions. It’s not so far off to assume they’ll use those capabilities in other applications soon. This is all actionable information that organizations and businesses can use to understand their customers and create products that people like. But it’s not exactly a piece of cake to get a product like this working in practice. 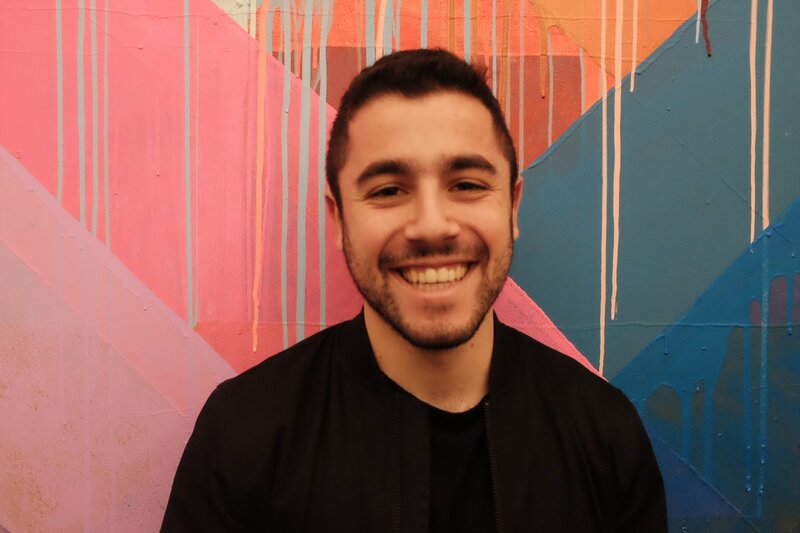 There are two major issues that have held back meaningful progress in Affective Computing: the training / labeling problem, and the feature engineering problem. As with any Machine Learning problem, your results are only as good as your data – garbage in means garbage out. Affective computing has a data problem, but it runs deeper than just lacking labeled training data – it’s that we’re not quite sure how to label it in the first place. Creating an algorithm means we need to understand our inputs and outputs – so what exactly are the human emotions? There are two core approaches that inform how solutions can be designed. Categorical – argues that emotions fall into set classes. The pioneer of this approach was a Swedish anatomist named Carl-Herman Hjortsjö, and the idea is simple: there are a finite set of human emotions. 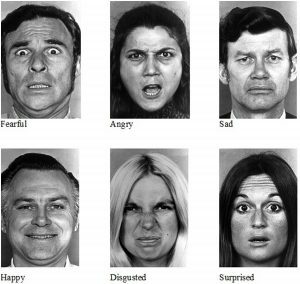 A group of scientists led by Paul Ekman later developed the system, called FACS (Facial Action Coding System), and have continually been updating it since then. The emotions are happiness, sadness, surprise, fear, anger, disgust, and contempt. Dimensional – assumes that emotions exist on a spectrum, and can’t be defined concretely. The Circumplex model of affect defines two dimensions, pleasure and arousal, while the PAD emotional state model uses three. Which model of human emotions we accept and work with has important consequences for modeling them with Machine Learning. A categorical model of human emotion would likely lead to creating a classifier, where text or an image would be labeled as happy, sad, angry, or something else. But a dimensional model of emotions is slightly more complex, and our output would need to be on a sliding scale (perhaps a regression problem). 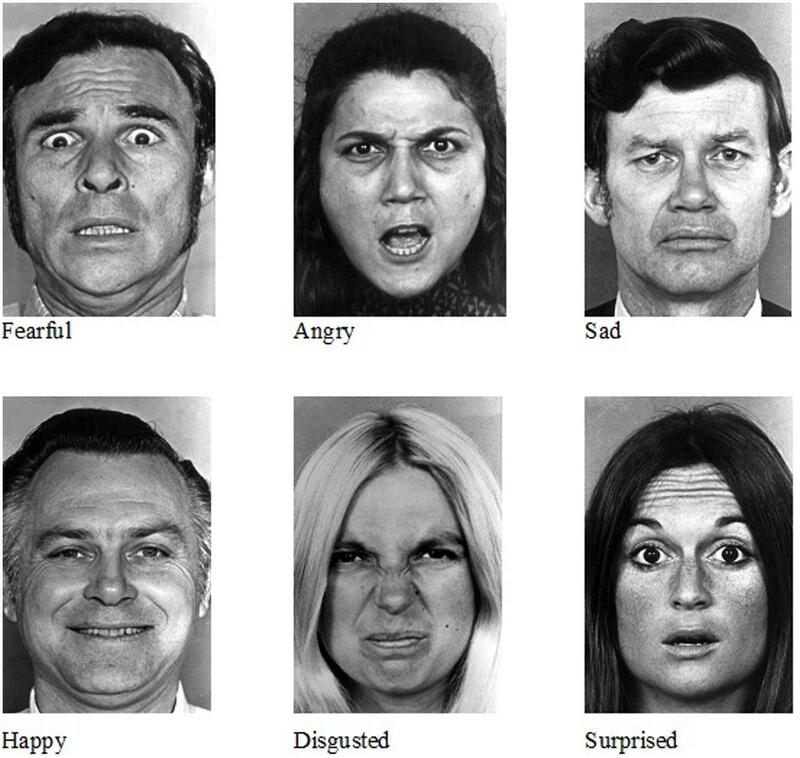 The Affectiva-MIT Facial Expression Dataset (AM-FED) – “naturalistic and spontaneous facial responses to Super Bowl ads.” Taken in a natural, non-lab setting. The labeling on both of these datasets follows the categorical emotion philosophy and uses the FACS coding system. In general, unlike many other disciplines with research being done on applying Machine Learning, a lot of the work in Affective Computing is being done on understanding the field first. For example, the research project EmotiNet is a “knowledge base” for emotion recognition in text. Much of the fundamental groundwork in understanding human emotions and codifying them is still yet to be done. Even once we get over the hurdle of choosing a framework for understanding emotion and acquiring well-labeled training data, there’s still another issue before diving into algorithms: nobody is quite sure what the features should be. In Machine Learning, we use a dataset as an input to predict and create some sort of output. The dataset has features: think of these as the columns in a spreadsheet. For a normal and simple dataset, features might be “inches of rain today” or “number of engagements for a customer.” But when we’re dealing with Affective Computing, there are only 3 possible inputs – text, speech, and image/video – and none follow the traditional data format. Feature engineering, or deciding what the best possible inputs for our model are, is also a complex issue in Sentiment Analysis, which is the broad parent topic of emotion recognition. It might help, for example, to include whatever the previous sentence was along with the current sentence as an input. Adding that type of context to each data is what feature engineering or feature extraction is all about. For more detail on feature engineering around sentiment analysis, check out our post about the topic here. For text, the typical data structure used is a Document-Term Matrix. The DTM is basically a matrix that records how many times each word appears in a “document,” which can be defined as anything we want. If we’re analyzing the emotional content of a sentence, the DTM might be some function of the occurences of each word in the sentence. The problem with this more traditional data structure is that it doesn’t sync well with our goals – emotion isn’t garnered from individual words. Context, tone, previous words and sentences, and punctuation all dictate how a comment is meant to be perceived. That’s why researchers have been working on new types of data structures to take these factors into account. You can find some interesting datasets to work for text with here. Speech is often just translated into text and then analyzed, but that wouldn’t be a good fit for emotion recognition. Non-verbal cues dominate how we desire our speech and communication to be perceived, and we want those to be inputted into our model as features. 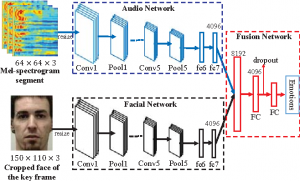 Researchers have been exploring using acoustic features instead of transcription for emotion recognition applications. Given that both of the major available datasets in Affective Computing are sequences of images and videos, a lot of research on the cutting edge is being done here. Some of the coolest real-time applications of this software will certainly involve the camera on your smartphone. Researchers have been working on understanding how to featurize images and videos, and even getting creative with using data from sites like Flickr and Twitter. There are certainly interesting challenges to be solved in understanding how to properly engineer features from text, speech, and image/video – but the resurgence of Neural Networks over the past few years has relegated a lot of this conversation to the backlog. A Neural Net, a subset of Deep Learning, is a type of algorithm that has become wildly popular over the past couple of years. In addition to its uncanny ability to achieve higher than the formerly state-of-the-art accuracy for many classification tasks, Neural Nets have a critical benefit that’s immensely helpful in emotion recognition: they do feature engineering automatically. In a Neural Net, we can input the data we want to use (text, speech, etc.) and the data gets passed through different “layers” of the net. Each layer modifies the input values to try and morph it into something useful and predictive in the model. For our purposes, that means that we can input our data as is and tweak the model to output what we need. Getting even more specific, there are special types of Neutral Nets – called Convolutional Neural Networks (CNNs) – that are very effective for the use of images as inputs. 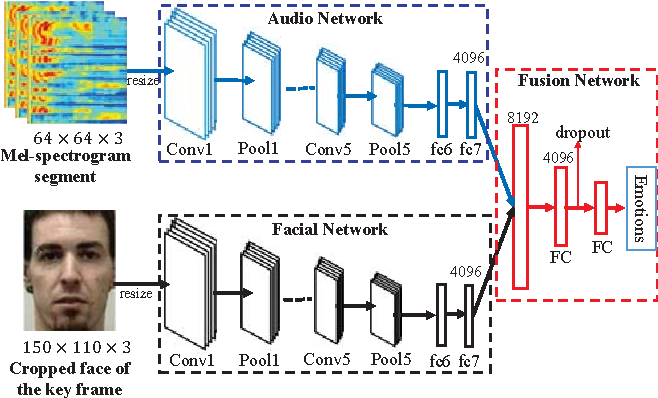 These networks further feature engineer the input images and can help achieve greater accuracy in emotion recognition. One of the cutting edge algorithms in Affective Computing was developed by two professors from The Open University of Israel and uses CNNs. For an implementation using the Algorithmia platform, check out this tutorial. While most of the work in Affective Computing has been done using labeled datasets and supervised learning, a few research efforts have centered around a less top-down approach – segmenting the data we have automatically and seeing what kinds of emotions result. These methods often also take context and sentence structure into account to reach tighter classifications. Some also explicitly try to expand beyond the often confining limits of FACS, like this paper released at a conference in 2012. According to the abstract, “The proposed methodology does not depend on any existing manually crafted affect lexicons such as WordNet-Affect, thereby rendering our model flexible enough to classify sentences beyond Ekman's model of six basic emotions.” Another approach using the dimensional model is proposed here.